With the Gigabyte RTX 2070 Windforce delivering such strong performance at $500, there's little reason to spend more on an RTX 2070 graphics card unless you're looking for specific extra features. Should you buy the GeForce RTX 2070 Windforce? The Gigabyte RTX 2070 Windforce is a member of a small and exclusive club: A GeForce RTX graphics card that actually sells for Nvidia’s MSRP! Yes, Gigabyte’s GPU costs $500 at Amazon, a full $100 less than Nvidia’s own RTX 2070 Founders Edition. The card skips out on fancy touches to achieve its price point; You won’t find fancy metal shrouds or factory overclocking here. But the Gigabyte RTX 2070 Windforce does offer performance roughly on a par with pricier RTX 2070 options, plus with a triple-fan cooler that’s more effective than the cooling in Nvidia’s Founders Edition, all delivered at a cost that actually makes the graphics card a compelling option versus the last-gen GTX 1080. Applying an overclock to get more performance couldn’t be quicker or easier, either. 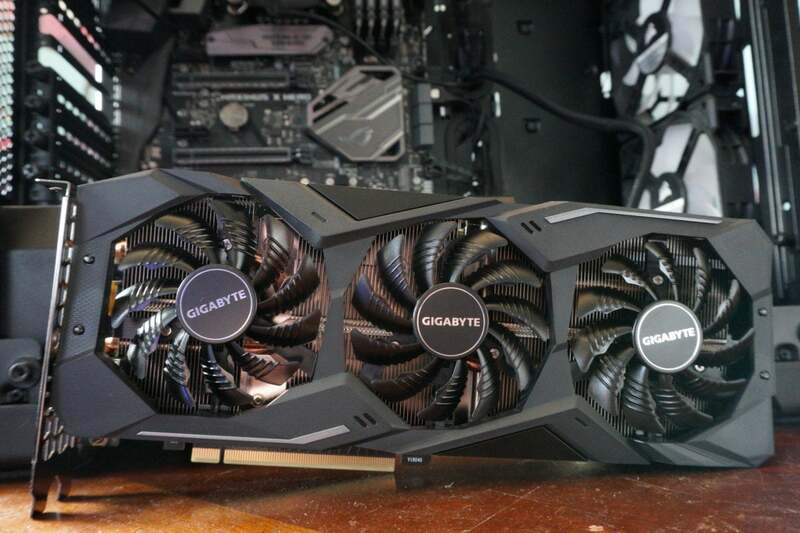 It’s hard to call a $500 graphics card a good value, but when it comes to RTX 2070 options, Gigabyte’s Windforce fits the bill. Let’s dig in. That level of hardware will get you excellent 1440p gaming performance, and even entry-level 4K gaming, as you’ll see in our benchmarks later. But the big draw for Nvidia’s RTX GPUs is the inclusion of dedicated RT and tensor core hardware for greatly enhanced performance in real-time ray tracing and machine learning-enhanced tasks such as Deep Level Super Sampling. At least in theory. In reality, no ray traced or DLSS-enhanced games have hit the streets yet, even though the first RTX GPUs launched in mid-September. Dozens of games have pledged to support ray tracing or DLSS, but if you buy a RTX 2070 today, all you can do is hope that those features will prove as impressive as Nvidia’s marketing claims. You can learn more about ray tracing and DLSS in our deep-dive into the Nvidia Turing GPU as well as the future tech section of our RTX 2080 and 2080 Ti review, where we examined some canned demoes provided by Nvidia. 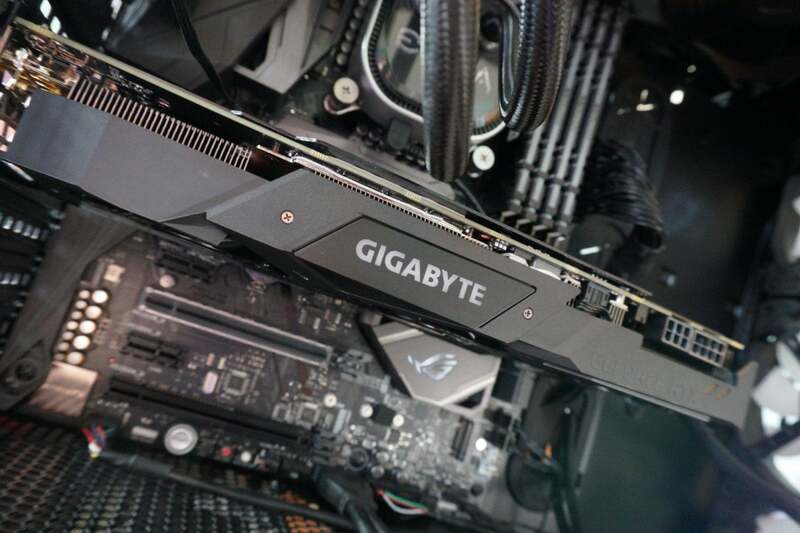 Despite carrying a rock-bottom price tag, Gigabyte outfitted the RTX 2070 Windforce with a custom cooling solution that gives the card its name. Three fans sit atop the card’s plastic shroud, with the middle fan spinning in the opposite direction of the outer blades to ostensibly create smoother airflow for better heat dissipation. The fan blades themselves are plastic and feel flimsy when prodded, though, especially compared to the hardened blades on the Nvidia Founders Edition and EVGA RTX 2070 XC. Those blades grind to a halt when you aren’t gaming or otherwise stressing the GPU, running silent during traditional desktop use—always a much-appreciated feature, and one the Founders Edition sorely misses. 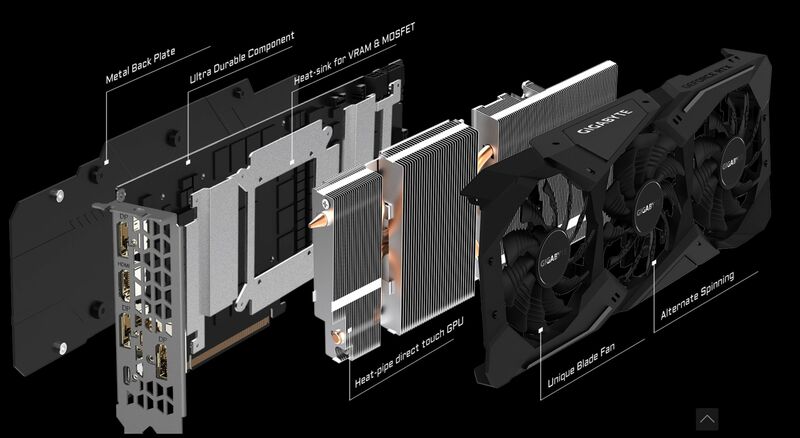 A deeper look at Gigabyte’s Windforce cooling system. A full-length heat sink sits underneath the shroud, augmented by a pair of copper composite heat pipes that directly contact the GPU for better heat transfer. Underneath that, a large metal plate helps move heat away from the card’s memory and MOSFETs, and Gigabyte tops the package off with a metal backplate emblazoned with the company’s logo. You’ll find another Gigabyte logo on the edge of the card, but that one’s infused with RGB LED lights that you can customize with Gigabyte’s Aorus Engine software. It’s a more effective cooling solution than the one in Nvidia’s pricier RTX 2070 Founders Edition, as you’ll see in our temperature benchmarks. Speaking of which, that’s enough description. Let’s head to the test bench! Next page: Our test system. 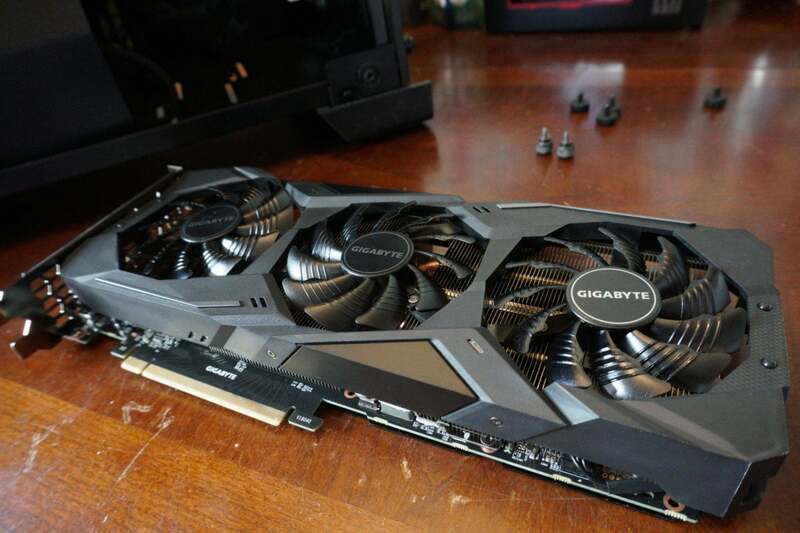 With the Gigabyte RTX 2070 Windforce delivering such strong performance at $500, there's little reason to spend more on an RTX 2070 graphics card unless you're looking for specific features.